Hope to be home in a couple of days, though, and I’ll try to post more then. Journal Quilting: My Life in a Quilt! I have become intrigued with journal quilting. 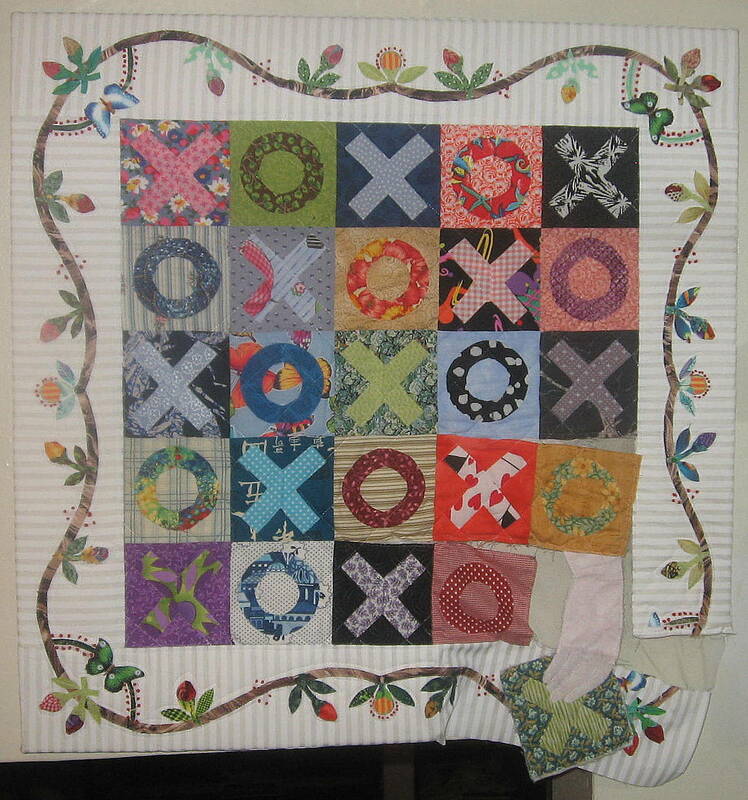 I’ve done it before and found comfort in putting down my story in quilts. I’ve decided to try my hand at it again and am starting a journal quilt that I hope to add to every week. I’m keeping the blocks down to a 6″ size and making one a week. When 4 are completed I will put them together as a monthly story, then as a story for the year. Since I sarted my chemo this week, my first block is of course a chemo cocktail. I dont know if I will be able to post weekly, this week has not been a good one for me, but whenever I can, I will try to show the blocks. A happy holiday to one and all.